Drasawee women's retro long chiese chrongsam dress. Size: S-XXXL,Please check your measurements to make sure the item fits before ordering. Our brand name DRASAWEE has registered on Amazon,please confirm the brand before you place orders. 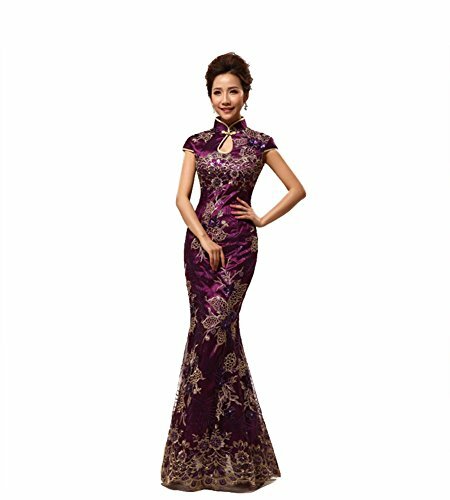 We make high quality cheongsam dress. Best choice for you. Color: Purple, Royalblue, Rosyred. Feature: Embroidery design,invisible zipper design. If you have any questions about this product by Drasawee, contact us by completing and submitting the form below. If you are looking for a specif part number, please include it with your message.